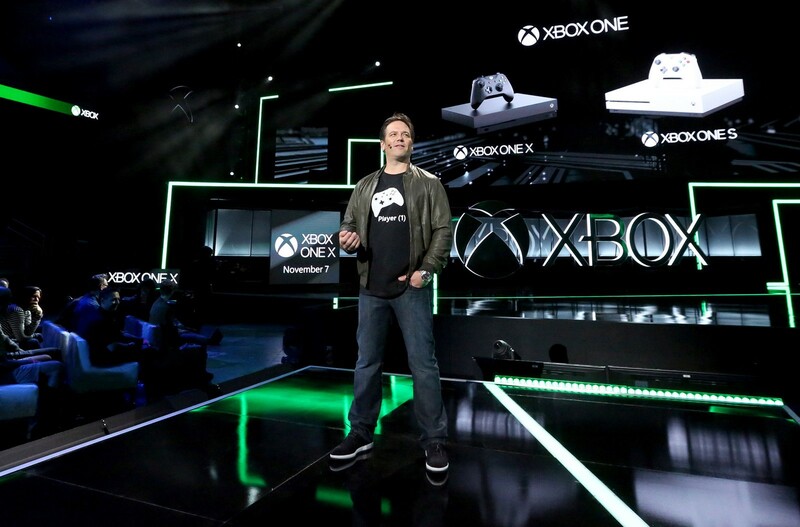 Sunday marked a milestone Xbox E3 Briefing as Microsoft Corp. unveiled the world’s most powerful console, Xbox One X (formerly code-named “Project Scorpio”) and its largest and most diverse games lineup in E3 history. Broadcast for the first time in 4K UHD on Mixer, Xbox showcased a record 42 games in its briefing including 22 with console exclusivity from creators large and small. 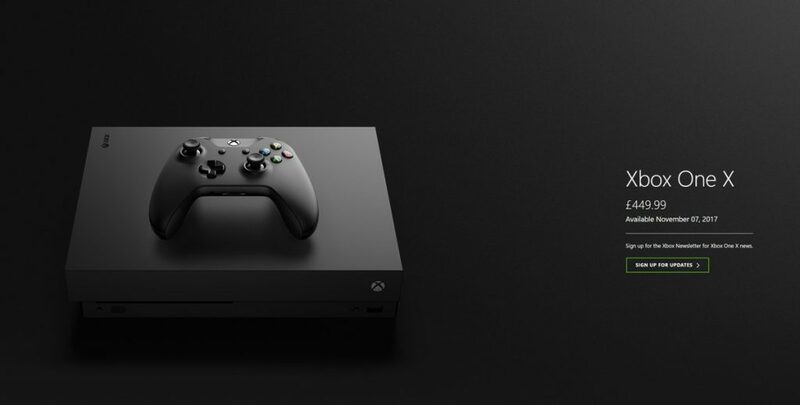 Coming to all Xbox One markets starting Nov. 7, Xbox One X will retail for $499, 449 pounds, 499 euros, CA$599 and AU$649. 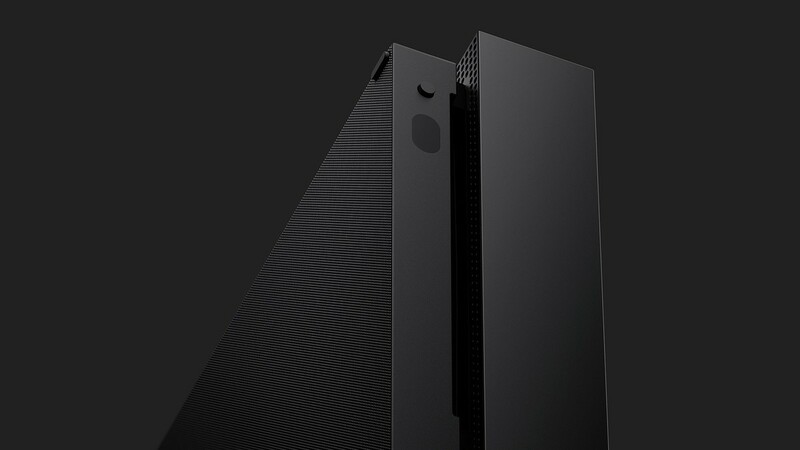 Xbox One X was designed to be the best console to create and play games on, putting the greatest graphic fidelity in the hands of the world’s best game creators to create true 4K games. 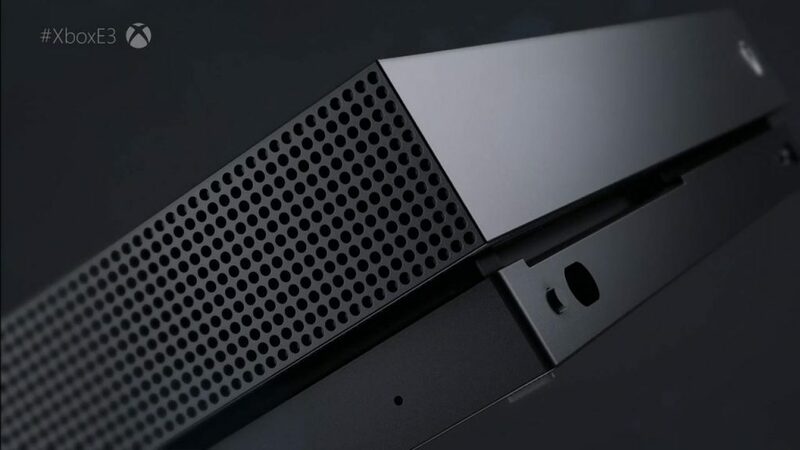 Head of Xbox Phil Spencer underscored that every game will play great across the Xbox One family, and Xbox One X also makes your existing library even better, with better textures, smoother frame rates and faster load times. Xbox One is the only console system designed to play the best games of the past, present and future. The Xbox One games and accessories you already own are compatible with Xbox One X, so if you’re an Xbox gamer, chances are you already have a library of games that will look and play better on Xbox One X.
Spencer announced that Xbox will expand the Xbox One backward-compatibility library of nearly 400 popular Xbox 360 games to include original Xbox classics, starting with fan favorite “Crimson Skies.” Xbox also revealed that “Gears of War 4,” “Forza Horizon 3,” “Minecraft,” “Resident Evil 7,” “Final Fantasy 15,” “Tom Clancy’s Ghost Recon Wildlands,” “Rocket League” and dozens of other popular Xbox One games will receive free updates to take full advantage of the power of Xbox One X. A host of these titles will be enhanced to run in true 4K, and many will be available at Xbox One X launch. 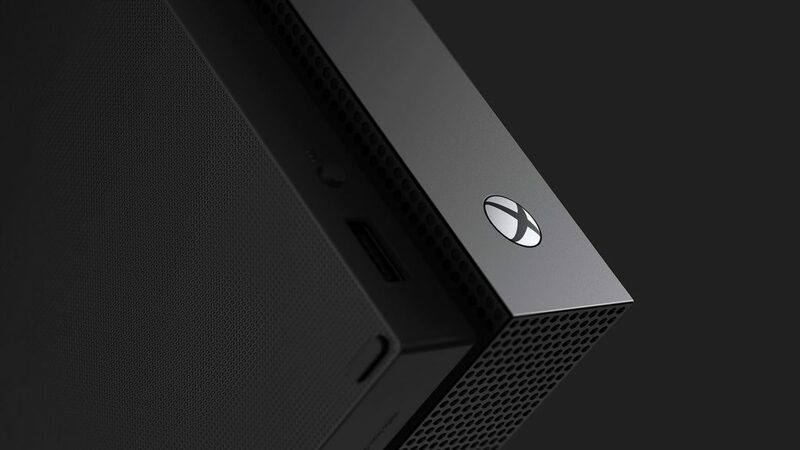 Xbox One X was created to deliver uncompromised power, ultimate compatibility and design excellence. It’s both the most powerful and smallest console Xbox has ever built. Xbox One X. Games play better on Xbox One X. The world’s most powerful console begins rolling out to all Xbox One markets starting on Nov. 7. With 40 percent more power than any other console, experience immersive true 4K gaming when paired with a 4K display, such as Samsung’s flagship QLED TV. Xbox One X makes your existing library even better, with better textures, smoother frame rates and faster load times, even on a 1080p TV. Xbox One X also offers the ultimate 4K entertainment package with 4K Ultra HD for Blu-ray X and streamed content, HDR support for gaming and video, and Dolby Atmos support. Xbox One X will join the Xbox One family of devices and coexist alongside Xbox One and Xbox One S, and all Xbox One games and accessories are compatible. “ANTHEM” (ELECTRONIC ARTS). “Anthem” is a shared-world action RPG, where Freelancers challenge the wilds past the wall, exploring a vast world filled with savage beasts and ruthless marauders, but also teeming with amazing technology and forgotten treasures. Players will be able to join with their friends to unravel the world’s mysteries and defeat the forces plotting to conquer humanity. Throughout their journeys, players can outfit their Freelancers with powerful Javelin exosuits, each of which are equipped with unique weapons and abilities. Freelancers can customize their Javelin with gear they earn and craft throughout the adventure, and leave a lasting mark on the world. “THE ARTFUL ESCAPE OF FRANCIS VENDETTI” (CONSOLE LAUNCH EXCLUSIVE). “The Artful Escape of Francis Vendetti” is a video game about great expectations, famous folk singers, lingering shadows, space gods, hallucinogens, individuality, reptile shops and wild imaginations. It’s an action, adventure, exploration, narrative-driven, musical-laser-light-battle kind of game and is the debut release from BEETHOVEN & DINOSAUR. “ASHEN” (CONSOLE LAUNCH EXCLUSIVE). This action role-playing game is about a wanderer in search of a place to call home. There is no sun, and the only natural light comes from eruptions that cover the land in ash. This is a world where nothing lasts, no matter how tightly you cling to it. At its core, “Ashen” is about forging relationships. Players can guide those they trust to their camp – together, you might just stand a chance. “ASSASSIN’S CREED ORIGINS” (UBISOFT – WORLD PREMIERE). Journey into Ancient Egypt, the most mysterious place in history, during a crucial period that will shape the world. Discover the secrets behind the Great Pyramids, forgotten myths, the last pharaohs, and the origin story of the Assassin’s Brotherhood. For the past four years, the team behind “Assassin’s Creed IV Black Flag” has been crafting a new beginning for the franchise. Fight in a completely new way where you transition seamlessly between unique ranged and melee weapons, and take on multiple enemies at once. Choose your Assassin skills while exploring the full country of Ancient Egypt, engaging in multiple quests and gripping stories along a journey that will change civilization. “BLACK DESERT” (CONSOLE LAUNCH EXCLUSIVE). “Black Desert” is a sandbox-oriented MMO featuring next-gen graphics, full-action combat and an immense, seamless world full of adventure and danger. Travel through the lands in search of treasure and adventure or become one of the top craftsmen in the land. Set up trade routes and breed horses or compete against other guilds in epic siege warfare. “CRACKDOWN 3” (XBOX ONE AND WINDOWS 10 EXCLUSIVE). Starring Terry Crews as Commander Jaxon, “Crackdown 3” brings the boom with its worldwide campaign gameplay reveal, where players will stop crime as a superpowered Agent in a sandbox of mayhem and destruction. Developed by Microsoft Studios in collaboration with Sumo Digital and Reagent Games, “Crackdown 3” delivers four-person campaign co-op, as well as an all-new multiplayer mode2 where destruction is your ultimate weapon, powered by the Microsoft Cloud. Available worldwide on Nov. 7 as an Xbox Play Anywhere title alongside the launch of Xbox One X. “CUPHEAD” (XBOX ONE AND WINDOWS 10 EXCLUSIVE). Available (finally) beginning Sept. 29, 2017, as an Xbox Play Anywhere title, “Cuphead” is a classic run-and-gun action game heavily focused on boss battles. Inspired by cartoons of the 1930s, the visuals and audio are painstakingly created with the same techniques of the era, i.e., traditional hand-drawn cel animation, watercolor backgrounds and original jazz recordings. Play as Cuphead or Mugman (in single player or local co-op) as you traverse strange worlds, acquire new weapons, learn powerful super moves and discover hidden secrets while you try to pay back your debt to the devil! “THE DARWIN PROJECT” (CONSOLE LAUNCH EXCLUSIVE). “The Darwin Project” takes place in a dystopian post-apocalyptic landscape in the Northern Canadian Rockies. As preparation for an impending Ice Age, a new project, half science experiment, half live entertainment, is launched. It’s called “The Darwin Project,” and it challenges participants to survive the cold and fight to the death in a treacherous arena. “The Darwin Project” offers a competitive multiplayer third-person survival experience featuring at its core a new gameplay innovation: the manhunt. In his or her path to victory, a player must survive extreme environmental conditions, track opponents and set traps in order to win. “DEEP ROCK GALACTIC” (CONSOLE LAUNCH EXCLUSIVE). In “Deep Rock Galactic,” join a team of badass space dwarves in this stylish co-op first-person shooter for one to four players. Fight, dig and explore your way through enormous procedurally generated cave systems, uncover the riches and make it out alive. “DRAGON BALL FIGHTERZ (BANDAI NAMCO ENTERTAINMENT AMERICA INC. – WORLD PREMIERE). One of the world’s most famous and beloved anime franchises returns to its 2-D fighting-game roots in “DRAGON BALL FighterZ” in early 2018. Developed by Arc System Works, one of the most celebrated developers of classic 2-D fighting titles, the game delivers an explosive, action-packed experience that combines classic 2-D fighting visuals with advanced graphics that look and feel as if they are ripped straight out of the DRAGON BALL anime series. “FORZA MOTORSPORT 7” (XBOX ONE AND WINDOWS 10 EXCLUSIVE – WORLD PREMIERE). The best-selling racing franchise of this console generation3 returns with “Forza Motorsport 7.” Experience the danger and beauty of competitive racing at its limits with the most comprehensive automotive game ever made. Drivers will experience gorgeous true 4K graphics at 60 fps and true resolution in HDR within 30 famous environments, with race conditions that change each time you return to the track. Whether you’re a new player or a pro, collect over 700 Forzavista cars, including the new 2018 Porsche 911 GT2 RS cover car and the largest assortment of Ferraris, Porsches and Lamborghinis ever. The premier Xbox One X experience launches worldwide as an Xbox Play Anywhere title in October 2017. “THE LAST NIGHT” (CONSOLE LAUNCH EXCLUSIVE). Experience a two-dimensional cyberpunk open world, built with four unique districts each with distinct architecture, cultures and industries. Experience action and infiltration gameplay in the great tradition of cinematic platformers and travel between districts using taxis, ferries or monorail while trying to keep a low profile and remain undetected. Meet a diverse, inclusive cast of complex characters to interact with through meaningful, branching dialogue and enjoy varied gameplay such as driving down epic highways, flying drones and hacking droids to do your dirty work. “LIFE IS STRANGE: BEFORE THE STORM” (SQUARE-ENIX – WORLD PREMIERE). “Life is Strange: Before the Storm” is a new three-part standalone adventure set three years before the first game in the BAFTA award-winning franchise. “Life is Strange: Before the Storm” features Chloe Price, a 16-year-old rebel who forms an unlikely friendship with Rachel Amber, a beautiful and popular girl destined for success. When Rachel’s world is turned upside down by a family secret, it takes their newfound alliance to give each other the strength to overcome their demons. “METRO EXODUS” (DEEP SILVER – WORLD PREMIERE). “Metro Exodus” is an epic, story-driven first-person shooter from 4A Games that blends deadly combat and stealth with exploration and survival horror in one of the most immersive game worlds ever created. Flee the shattered ruins of dead Moscow and embark on an epic, continent-spanning journey across post-apocalyptic Russia in the greatest Metro adventure yet. Explore the Russian wilderness in vast, non-linear levels and follow a thrilling storyline inspired by the novels of Dmitry Glukhovsky that spans an entire year through spring, summer and autumn to the depths of nuclear winter. “MIDDLE-EARTH: SHADOW OF WAR” (WARNER BROS. INTERACTIVE ENTERTAINMENT). In “Middle-earth: Shadow of War,” players wield a new Ring of Power and confront the deadliest of enemies, including Sauron and his Nazgul, in a monumental battle for Middle-earth. This open-world action RPG is brought to life through the expansion of the award-winning Nemesis System. The robust personalization from “Middle-earth: Shadow of Mordor” is now applied to the entire world where the environments and characters are all shaped by player actions and decisions, creating a personal world unique to every gameplay experience. Available as an Xbox Play Anywhere title starting Oct. 10. “MINECRAFT” (UNIFICATION, BETTER TOGETHER UPDATE, SUPER DUPER GRAPHICS PACK). Mojang and Microsoft announced a new version of “Minecraft” that will bring the complete “Minecraft” experience to everyone on gaming consoles, mobile, VR and Windows 10 PCs this summer. The unification of “Minecraft” across platforms will transform the “Minecraft” experience everywhere from a game to a platform, providing simple access to massive community servers, community creations from the Minecraft Marketplace, Realms, dedicated servers and more. The team also announced the Super Duper Graphics Pack, a new optional upgrade for in-game visuals in stunning true 4K HDR. “ORI AND THE WILL OF THE WISPS” (XBOX ONE AND WINDOWS 10 EXCLUSIVE – WORLD PREMIERE). From the creators of the multi-award-winning “Ori and the Blind Forest” comes the highly anticipated sequel, “Ori and the Will of the Wisps.” Embark on an all-new adventure to discover the mysteries beyond the forest of Nibel, uncover the hidden truths of those lost and unravel Ori’s true destiny. “PLAYERUNKNOWN’S BATTLEGROUNDS” (CONSOLE LAUNCH EXCLUSIVE). “PLAYERUNKNOWN’S BATTLEGROUNDS” is a tactical, last-man-standing shooter being developed with community feedback where players must fight to locate weapons and supplies in a massive 8×8 km island to be the lone survivor. “SEA OF THIEVES” (XBOX ONE AND WINDOWS 10 EXCLUSIVE). Developed by Rare, the legendary creators of “Perfect Dark” and “Banjo-Kazooie,” “Sea of Thieves” is an immersive, shared-world adventure game filled with pirates, unexpected dangers and loot for the taking. Explore, fight and live the pirate life together in a unique co-op experience that combines the thrill of adventuring together with friends with the unpredictability of a shared ocean and its threats, both from other players and the world itself. Available worldwide as an Xbox Play Anywhere title in early 2018. “STATE OF DECAY 2” (XBOX ONE AND WINDOWS 10 EXCLUSIVE). “State of Decay 2” is the ultimate zombie survival fantasy game, where you build a lasting community in an open world filled with hostile zombies, human enemies and the valuable gear necessary to keep your community alive. Play solo or invite up to three friends in multiplayer co-op to overcome challenges and survive as a group while defining your own unique story. Your choices shape the identity of your community, ensuring that no two stories are alike – and remember, once you lose a survivor, they’re gone forever thanks to the return of permadeath in “State of Decay 2.” Available worldwide as an Xbox Play Anywhere title in spring 2018. “SUPER LUCKY’S TALE” (XBOX ONE AND WINDOWS 10 EXCLUSIVE – WORLD PREMIERE). Developed by Playful Corp., “Super Lucky’s Tale” is a delightful, playground platformer for all ages that follows Lucky, the ever-optimistic, energetic and lovable hero, on his quest to find his inner strength and help his sister rescue the Book of Ages. Along the way, encounter a hilarious supporting cast of friends and adversaries. Available worldwide on Nov. 7 as an Xbox Play Anywhere title alongside the launch of Xbox One X. “TACOMA” (CONSOLE LAUNCH EXCLUSIVE). The second game from Fullbright, creators of the critically acclaimed “Gone Home,” “Tacoma” puts you in control of Amy Ferrier, an independent contractor sent to Lunar Transfer Station Tacoma to recover sensitive data. As she explores the station, she unearths why the previous crew of six have been evacuated, gathering clues to what exactly went wrong. Like “Gone Home,” it’s a game where you pull details of the narrative from the environment, both physical and digital. “Tacoma” is a story about people and relationships, even in the isolation of outer space. Available Aug. 2 on Xbox One and Windows 10.